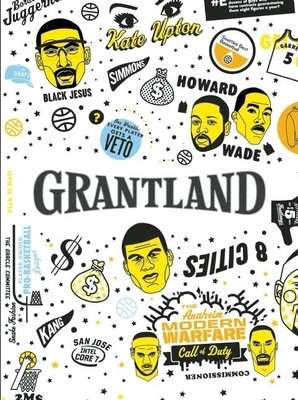 The second volume of Grantland is another collection of some of the best sports and entertainment writing out there. Hits to the head in hockey, the Sandusky scandal, the Brewers, Eddie Murphy’s career arc, the Blur Offense, and Charlotte Hornets’ teal. Whatever the topic, these are insightful and entertaining essays. Grantland Quarterly is a collaboration between McSweeney's and Grantland, the popular website founded and edited by Bill Simmons. It features the best long-form sports and culture writing from the site as well as new print exclusives, delivered in a lavishly designed, full-color book. Issue 2 has a dust jacket that unfolds to reveal a double-sided poster with an intricate, gorgeous piece of original art on one side, and, on the reverse, a reprint of the rare 1970s poster of George "The Ice Man" Gervin from Nike.